Your 6.5-hour Tennessee history tour begins with a comfortable charter bus ride to the stately manor of Andrew Jackson, The Hermitage. Home of the seventh U.S. president, historians consider President Jackson’s Hermitage the best preserved early presidential home. Explore its quarters just as President Jackson and his staff did back in 1836. Stroll the lovely formal gardens, then visit the slave quarters, the estate’s original 1804 cabin and the sight where this president and his wife were laid to rest. Afterward, lunch is on your own accord at the on-site historic Hermitage Smorgasbord, offering a traditional Southern Buffet, including dessert. 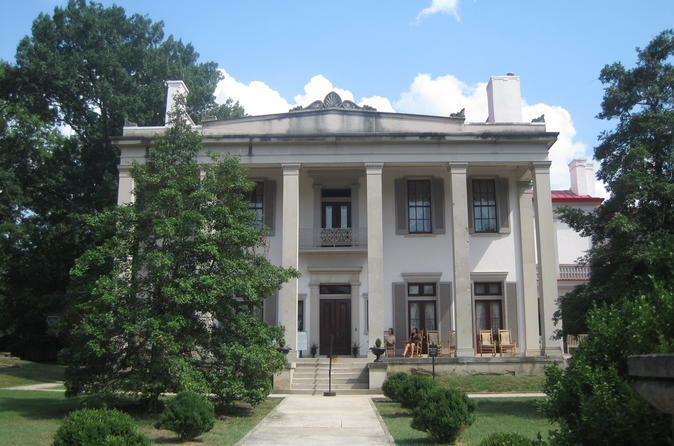 From there, continue on your chartered bus ride to the Belle Meade Mansion. Known as the Queen of the Tennessee Plantations, the Belle Meade Plantation was the centerpiece of a 5,200-acre estate, world-renowned as a thoroughbred stud farm and nursery in the 19th century. It’s a prime example of Southern Greek Revival Antebellum architecture. The present 30-acre site features 10 outbuildings which include an 1832 slave cabin and a colossal carriage house and stables. The day comes to a leisurely close with a wine tasting session at the Winery at Belle Meade Plantation in the afternoon. Sip the estate’s wines, such as chardonnay and cabernet, while enjoying views of the vineyards, then board the bus to return to Nashville.